David has handled a broad range of employment matters as well as varied commercial litigation throughout his career. David contributes to strategy and execution of acquisitions, providing seasoned judgment regarding labor relations, human resources and public affairs. 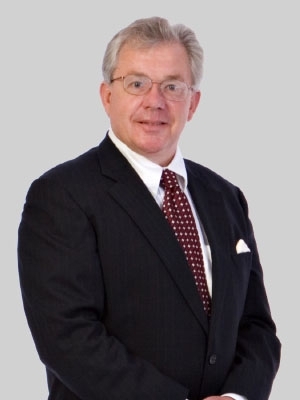 His practice is focused on commercial and retail litigation, complex employment and labor law issues, including ADA access, union organizing, labor negotiations, labor arbitration, matters before the National Labor Relations Board, long-term workforce strategies, wage and hour laws and affirmative action. David also has experience in health and safety-related workplace issues and specifically, Cal-OSHA matters. David's representations include major hotels, major retailers, shipping companies, and manufacturers. Within the firm, David served as the Office Managing Partner of the San Francisco office and as a member on the firm's Executive Committee. David was a partner in a large, international law firm. He was then Senior Vice President for Labor Relations and Public Affairs for Safeway, Inc., and was Chairman of the California Retailers Association, a legislative advocacy group. David was a partner with Grotta, Glassman & Hoffman, P.C. and the founding managing partner of that firm's California offices.